According to a study out of Vienna, you actually can teach an older dog new tricks. 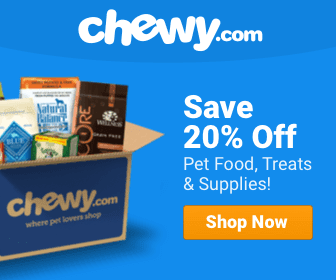 The big difference is the fact that the older dogs learn a bit more slowly than a puppy would, but they still show a capacity for learning and logic just the same. Some of the tests conducted involved a specially designed touchscreen. 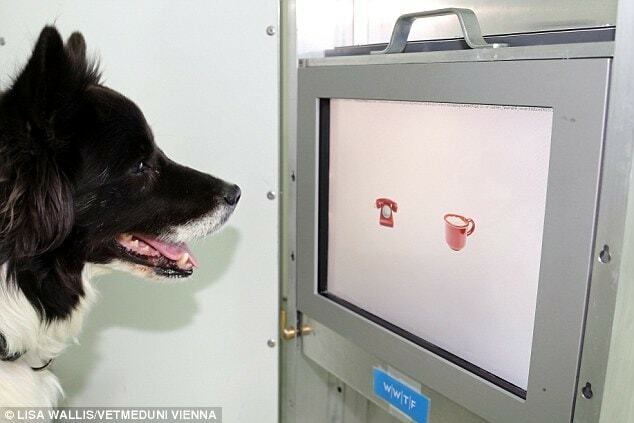 Not only were the older dogs able to learn the touchscreen’s functions, the senior dogs were able to show a level of logic that was at a higher degree than the puppies taking the same tests. 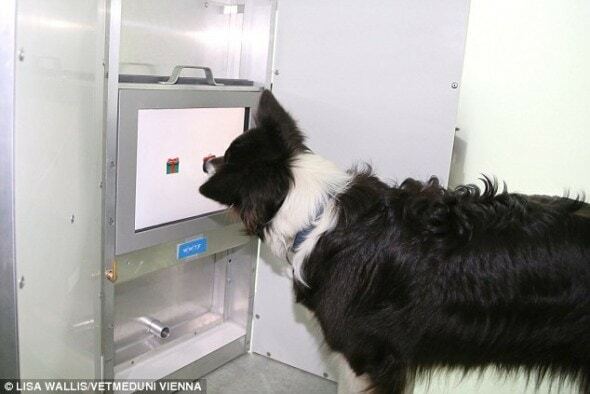 The researchers at the Messerli Research Institute at Vetmeduni, Vienna tested the abilities of 95 Border Collies. They ranged in age from 5 months to 13 years old. This has become a very popular breed as of late, and they believe that it’s this ability to be trained that makes them so popular. The dogs were all brought to the Clever Dog Lab by their humans. The picture below gives a sample of what would come up on the touchscreen for the dogs. The first part of the test had the dogs try to correctly select four positive abstract pictures from a total of eight on the touchscreen. When they would select a picture with a positive association, they were rewarded with a treat or a bit of food. If the dogs selected the wrong picture, they would get a short time out, and no treats were given out. After all was said and done, the researchers were quite surprised by the results. Well, so much for the old adage “You can’t teach an old dog new tricks!” You actually can, it just takes a little longer. Dogs are always willing to learn. People? Not so much.? They are just as capable, adorable, loving. I have a senior chihuahua. He was already old when I found him. He learned since day one where to wait to be cleaned after going to the restroom. Same as people .. older ones may not learn as quickly as younger ones!! I’ve always had a better time training old dogs, they’re not as easily distracted. 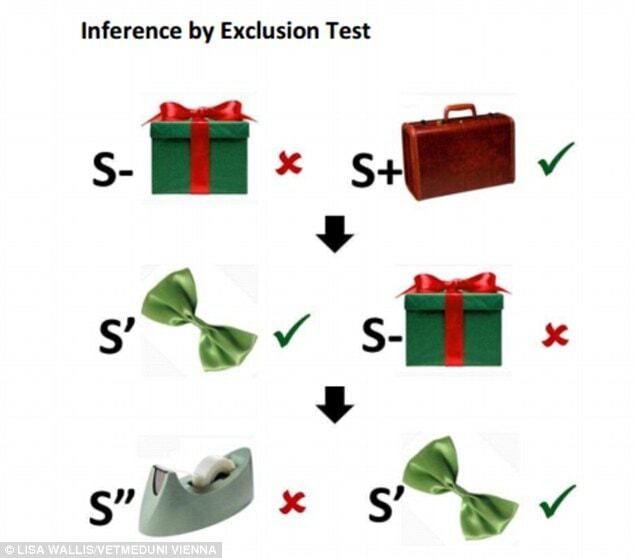 It’s old people that can’t learn new tricks. I absolutely agree. They are clearly more focused and less distracted. While older dog’s — and people’s — minds may not be quite as agile as the young, the better focus more than makes up for it.